Let Chief Information Officer (CIO) Daniel Wong Hoi Heng explain. Plus, how you can thrive in it! 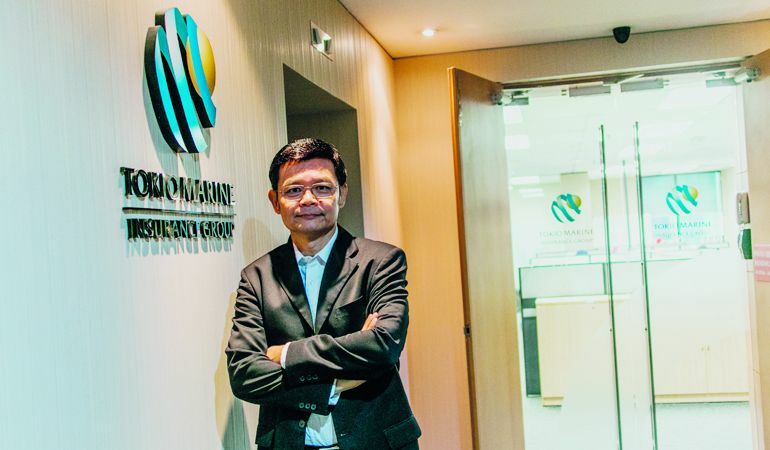 With more than 20 years experience in the insurance industry, Daniel Wong Hoi Heng, Chief Information Officer (CIO) of Tokio Marine Life Insurance, believes that the insurance industry is one industry that performs well even during the bad times. “Even when the economy is not good, people and industries still need insurance protection so the demand will always be there,” says Wong. Like you today, Wong was also once a fresh graduate entering the workforce. He met and worked with people from different sectors – all of which had imparted sound advice to the young graduate. The best advice he received? “Stay curious,” he shares. The more intelligent questions you ask, the more you will learn. The faster you learn, the more impressed your superiors will be. This is also the advice he gives to fresh graduates entering the workforce today. “The more intelligent questions you ask, the more you will learn. The faster you learn, the more impressed your superiors will be,” says Wong. Two major milestones helped shape Wong’s career. The first was joining a consulting firm that specialised in insurance. “I learnt from many industry leaders in various countries on how they distribute and administer insurance,” remembers Wong. It was this experience that led him to be headhunted by an insurance company. “The second milestone is joining my current company as a CIO,” he adds. The idea that working in the insurance industry meant being an insurance agent took root because most people’s first encounter with insurance was the insurance agent. However, things have come a long way now in terms of perception, says Wong. Graduates with technology degrees have ample opportunities in the insurance industry as the industry is now moving towards a bi-modal model where part of the business will continue as usual whilst the digital business section will see new exciting breakthroughs in its outreach programmes to make insurance accessible anytime, anywhere at the opportune business moment, explains Wong. “The more progressive insurance companies are utilising emerging technologies to improve their business processes and even create new business models. Employing digital technologies like virtual or augmented reality to conduct enablement programmes, robo-advisory to assist sales, artificial intelligence to customise experiences, robotics process automatic, chat-bots, social media and analytics to identify opportunities are among the technologies being utilised by the industry. “This offers a bright career path for aspiring graduates as they pick up useful experience that is increasingly demanded in many industries today,” says Wong.